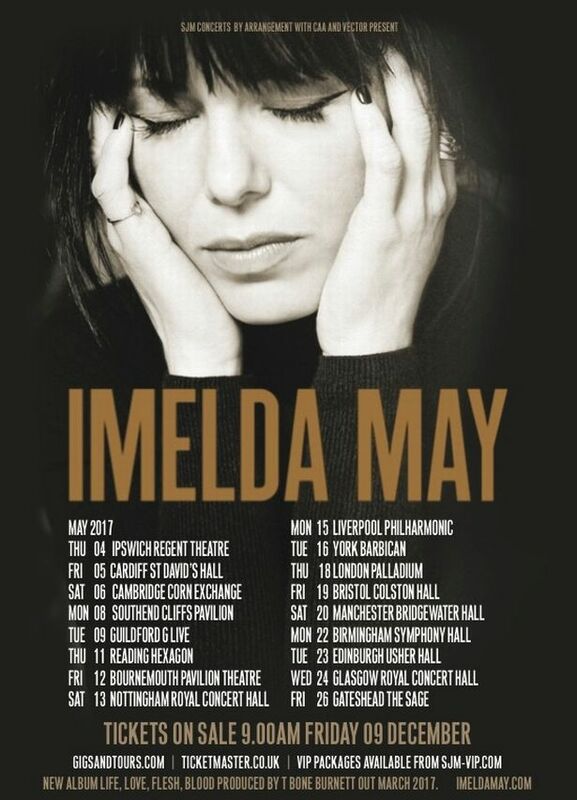 Imelda May is a name I have known for a long time now but admittedly, I was unfamiliar with her music. Imelda has been an extremely popular and successful artist over the years within the Rockabilly genre and known for her distinctive Rockabilly stylings visually. 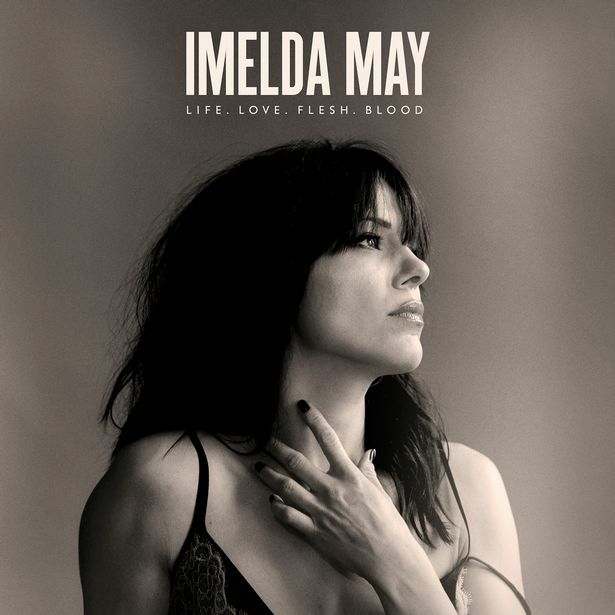 Imelda will be releasing her fifth studio album on April 22nd titled Life, Love, Flesh, Blood but for this album, Imelda has decided to take a different direction sonically and I am all for it. Having spent years producing music in the same genre (Rockabilly) it is perfectly acceptable for an artist to no longer be in the same place musically, personally and emotionally. An artist, just like fans, can change their minds, go through different phases and just grow apart from their previous passions. 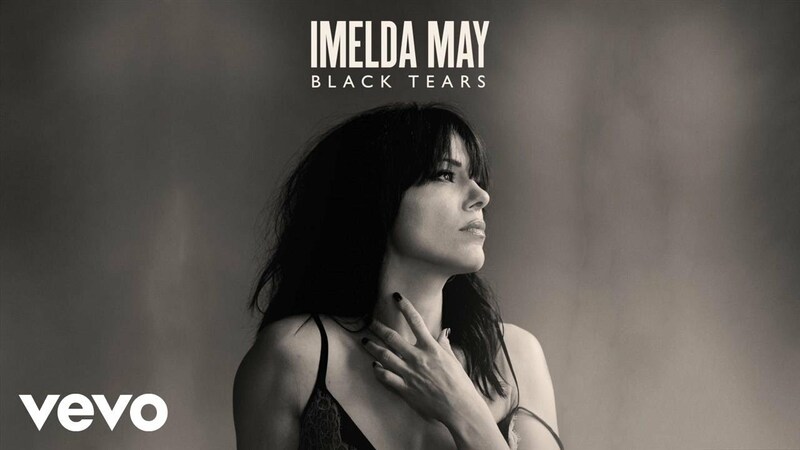 In her personal life over recent years, Imelda has been through a lot, so to produce an album where she wasn’t at emotionally wouldn’t have been true to her or to her fans. Imelda, like many artists can only record an album that was honest to their life and experiences and I really respect that. Take a live setting for example, an artist such as Imelda pours her heart and soul to her live performances and if an artist releases music they don’t necessarily believe in, then a performance can become unconvincing. Life, Love, Flesh, Blood is about as honest an album you can get. The passion, drive, emotion and truth that Imelda puts into this album is both honourable and wonderful. But more on that when my album review goes live. 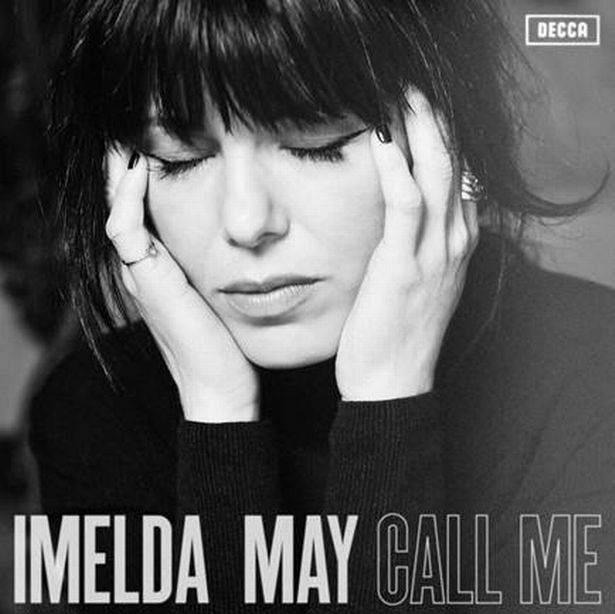 I caught up with Imelda to discuss her up and coming album, her tour and her musical direction and how hard it was to leave the Rockabilly world behind. Hi Imelda, how are you? What have you been up to? I am good, thank you. It’s been a crazy week with Interviews and I have just signed off all the artwork on the deluxe booklets for the CD, so it was a lot of work, but it’s hopefully worth it. You have been promoting and have just released the single Black Tears. Can you tell me the inspiration behind the song? I keep notebooks and I write stuff down all the time. I was having a particularly difficult evening and I had a difficult goodbye – it was quite a final thing. I remember at one point, when I closed the door and looked in the mirror, there were just streaks of black. These ‘black tears’, from my make up running, just stayed in my mind. Later, I was writing in Nashville with T Bone and whilst we were there my management asked if I wanted to do some co-writing. I never normally co write, but I said yes, so I had a meeting on one day then a three day gap and then another meeting. I prefer to work than sit around twiddling my thumbs, so they slotted me in with a lot of great people and one of them was with Angelo Petrallia. He is a great writer and was strumming away while I was looking through my note book and I saw Black Tears that I had written. I just started singing it, it just came out and then I it all started to fit really well. I just started pouring my heart out on to the page and Angelo just kept playing and playing – and then he moved into that lovely middle moment while I continued to write. At the end we were pretty happy that we had come out with something that we were both very pleased with. How hard was it to release a song that was so personal to you? Were you nervous of how fans and critics would respond to something that close to your heart – and something that wasn’t the Rockabilly genre that you have been producing for years? No, it’s what I’ve got to do. It is an honest album – all my albums are – but this is particularly so and I am not hiding things in there like I did before. I’m just saying what I’m thinking and I just wanted to write for myself and not think that people might listen to it. I am not nervous, because it is what it is and I wrote the album that I had to write – and so be it. I’ve just got to hold my breath and go for it, whatever the reaction is. I am getting some people reacting really well and loving it, and a lot of rockabilly fans are getting really pissed off at me, but I don’t write for other people. I am staying true to myself and I’ve always followed my heart; even when I was doing Rockabilly, people told me not to do it, but I did it. It’s not the only music that I love and I think I’d be quite a narrow minded writer if I only wrote in one genre. Not even Elvis stuck to one genre; he moved around and changed and experimented – and he is the King of Rockabilly, so if he can do it, I don’t think there should be any rules. I completely agree and I always say how much music is a healer anyway, whether you’re the writer or listener – and especially if you are a writer. I am sure if you are feeling a certain way at a certain time you have to be honest to yourself and write what’s there in the moment and people need to go with it and I completely understand. The best music is when someone is being completely honest. Yeah, it’s not a strategy and it’s not a plan. If I was like that and I had a strategy and a plan I wouldn’t have started with the music that I started with and I wouldn’t be doing roots music. I had offers as a sixteen year old to be a like a pop princess and I absolutely said no, I was horrified. I was singing Blues in a little underground club in Dublin and somebody saw me and thought that would be an interesting thing. I got a couple of record deals but I absolutely said no, 100 per cent, because I just didn’t want to do music that didn’t interest me. Not that I hate that music for anyone else, it just did not interest me in any way. I have always followed my heart and my gut and I always will creatively. Look at Ryan Adams; he writes a different album every time – and so he should, if that’s what he feels like doing. You can’t have limits and boundaries on any art really – or it’s not artistic anymore. You collaborated with Jeff Beck on this song, too. He seems to be a huge fan of yours and champions you as an artist quite proudly. How does that feel, because you seem to have an awful lot of support from so many legendary artists, including Bono? I’m really lucky, really lucky. It feels good to have people who I love and look up to supporting me, of course. Jeff has championed me for ages now and he turned up in Ronnie Scott’s when I was doing a show and that is how we met. He has always been supportive and now we have become good friends and I love him dearly. That makes it even more wonderful for me to have him on the album. He is such a great man and a genius – and he is so creative and so free with what he does; on every album he does what he wants and I love that about him. For him to be so supportive of what I do is mind blowing for me. I sang on his album and on gigs with him and I thought, ‘You can sing on mine’ and he said ‘Absolutely, send me some stuff’. So I sent him some songs and he picked Black Tears and said ‘I want to play on this.’ – and I was thrilled to do that. With Jools Holland as well, it just felt right for me to ask. I hoped they would say yes -it’s great to have people that you look up to feeling supportive of your music. I really like the song Call Me and think it was a great video. How was it to shoot – and how much input did you have? I especially like the fact it’s in black and white, gives it a chic film noir feel, which I think suits the song very well. Thank you. Yeah, I have loads of input in everything because I enjoy it. I have two videos for that, which one did you see? Yeah, I had a lot of input. It’s funny – I wrote that, started it in Paris and Paris was in that song a lot, and it was the director who decided to bring it to Paris. It was quite emotional for me when I turned up for filming because it was all about when I was there. The director was quite happy about my emotional state because she was like, ‘Great, we can use that really well’. Hahaha, I was like, ‘Thanks very much, you’re trying to kill me! Haha’. I have had interviews where they put you down because they think you don’t really write any of your songs – you couldn’t possibly – and then, if you’re vocal about saying ‘Yes, I really do’, then you must be a control freak. I am just an artist and I love doing what I do. I love to be involved in every part of it, I love meeting people, I like meeting directors and chatting and I find it all intriguing. I am glad you went with black and white for the video as it gives the video that little bit more, that je ne sais quoi – and makes an already stand out song, stand out even more. Thank you, I love black and white, it’s classy. It’s forgiving, haha. Ha! I suppose it is, I have never really thought of it that way but you are right. I might have to start taking all my photos in black and white from now on, haha. How do you decide on what song to release as the first single? Did you know right away or do you have suggestions from the label, management? For me, I did on this album. Sometimes I don’t but on this I did because I wrote Call Me actually as the last song on the album. When we went in to record it with T Bone, I was meeting the band on the day that we started recording, and there was no rehearsal – I love that. We just met and they asked which one I wanted to start with and I just said Call Me. It set a nice vibe for the rest of the recording session, so I thought ‘Well, that worked well.’ and maybe, as a single, setting the vibe for the album. It just set the tone nicely, so I thought ‘Well, I want that as the next single.’ The record company discussed it a lot and talked about it, and thought about it, and came back and said ‘Yeah, we agree.’ So the last one written was the first one out. I thought it was a little stillness after what people knew me for – I thought it was good to take it down a notch and set a new scene and start again. Your new album Life Love Flesh Blood will be out April 7th. How would you describe the album sonically and lyrically? There are loads of different styles on there, different vibes that I was writing on any particular day. You are touring the album in May. What are you looking forward to the most about the tour – and what can we expect from the shows? Will there be a full band? A mix of old and new songs? Well, like most artists, you’re just dying to do the new stuff because you have been turning out the old stuff for a while. But, yeah, of course I will do some old stuff but I have to re-work it, as I have a bigger band now and I have to work it to them, I have the same guys and have added to the band, too. Yeah, I will play around and see how they sound and work it out but I am definitely looking forward to getting the new stuff sorted. I have some great players in the band. It’s my own band and they are patiently waiting to get out on the road and -yeah, I can’t wait! What is it like taking your daughter on the road? It must be quite nice to share that part of your life with her? Well, I did take her on the road with me but I don’t know what I am going to do next with the schools. I am going to have to plan it a lot more carefully because I am a single mother and she knows that mummy has to go to work and I have to keep a roof over our heads; she’s ok with that and she understands. She sings; she tells me she is going to be a writer just like me – or a mermaid! I think we all aspire to be a mermaid! Hahaha. I am happy to support her, whatever she wants to do. With the tour, we have to work it out with the school holidays so we get to see each other as much as possible, otherwise I will go crazy. I’m not away for too long or for any stretch. My office has to work with school times now, whereas before we could just go. Yes, schools are very strict, with even allowing a day off from school. You know what – it’s ridiculous how strict they are. I think as long as they have a great education, family time is just as important for their development. I don’t think they should quibble with parents for taking their kids out of school for a couple days out of the year. I am right behind that guy who is going to court and doing all those things; I am right with him as long as they all have a great education overall. You were part of Jools Holland’s Hootenanny, which is one of the most popular shows on New Year’s Eve. How was that experience for you? I loved it, it was amazing. I did the rehearsal with the band and was really happy with how it sounded. They did great, it was a wonderful arrangement and I love singing with Jules. I love playing with him – he is a fabulous man, I love him to bits. He is a good friend and I admire him so much. I was delighted that we were doing the song together and I was thrilled with the reaction from it. I just focused myself and closed my eyes and just sang it like I meant it – and I did. That’s all I could do and not be distracted by what was going on around me – just focus on the song. I think that’s what music is all about – certainly roots music – and you are well aware of that. Oh, of course. It seems like it is one of the best shows to be part of, too. It is. It is such a great vibe and everybody parties like crazy- it is an actual party, and it’s really good fun. Well, thank you very much for talking to me today and I very much look forward to the album. Thank you very much, lovely to talk to you, too.